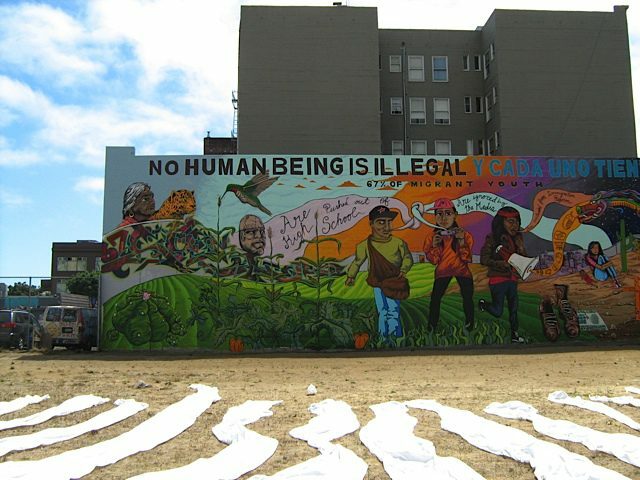 A core group of 7 students who are being impacted by today’s immigration laws have over the past year become true leaders in the struggle for migrant justice. 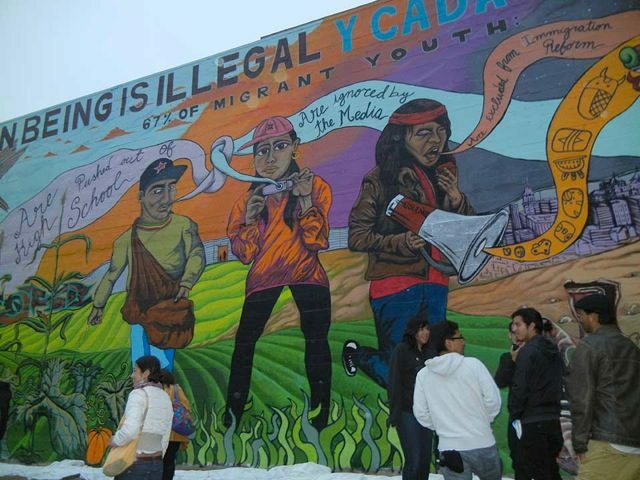 They have led marches, organized walkouts, met with legislators, and held community events to galvanize other migrant youth and challenge the fact that the media, Washington DC, and even leaders of the immigrants’ rights movement are largely neglecting the realities 67% of undocumented youth who are being left out of legislative efforts such as the federal DREAM Act. 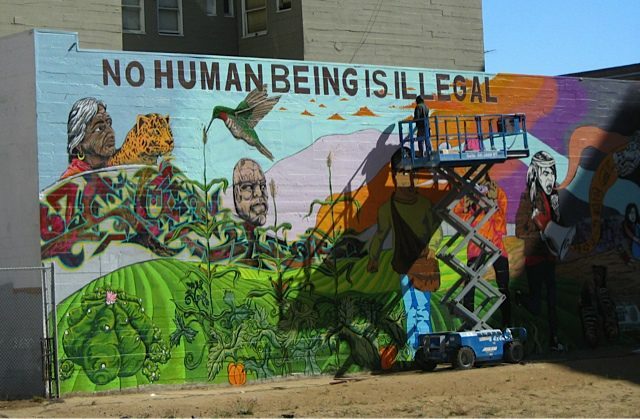 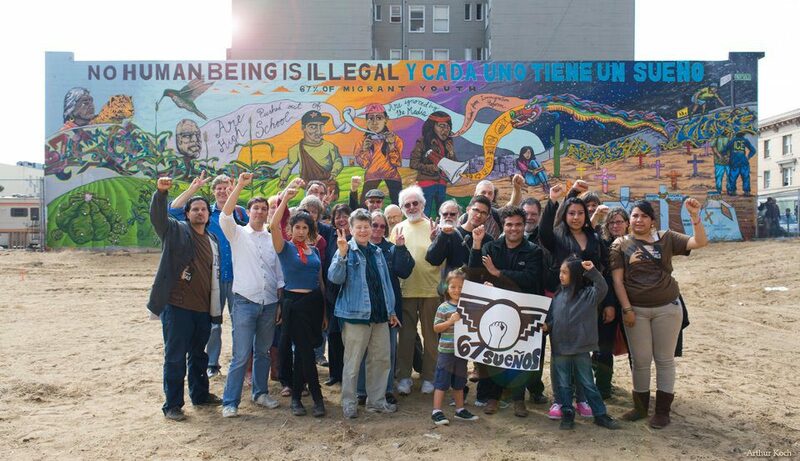 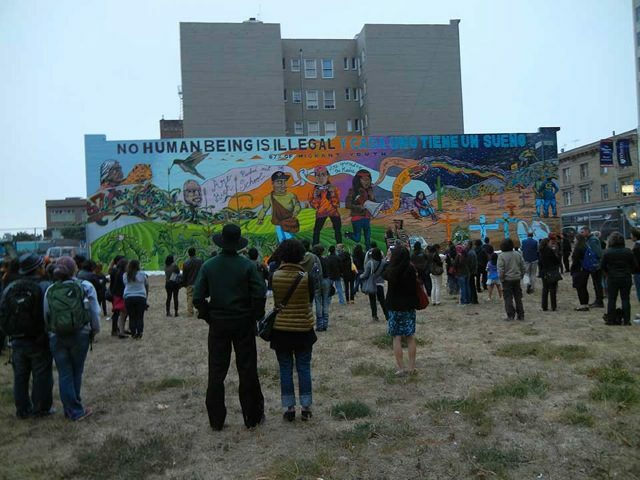 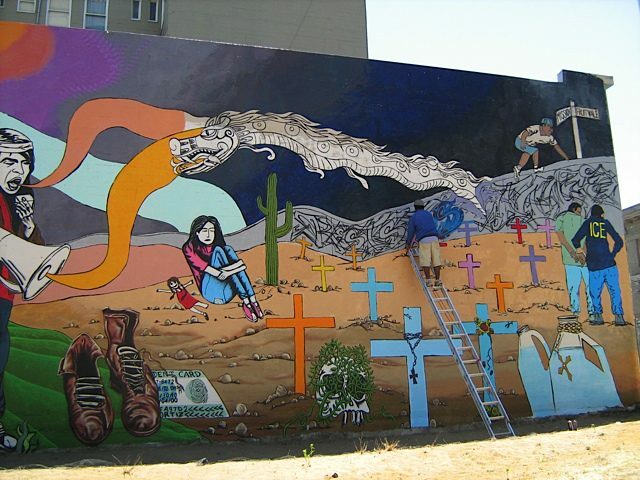 Now they have unveiled this 100-foot wide by 30 foot tall mural located only 3 blocks from San Francisco’s City Hall. 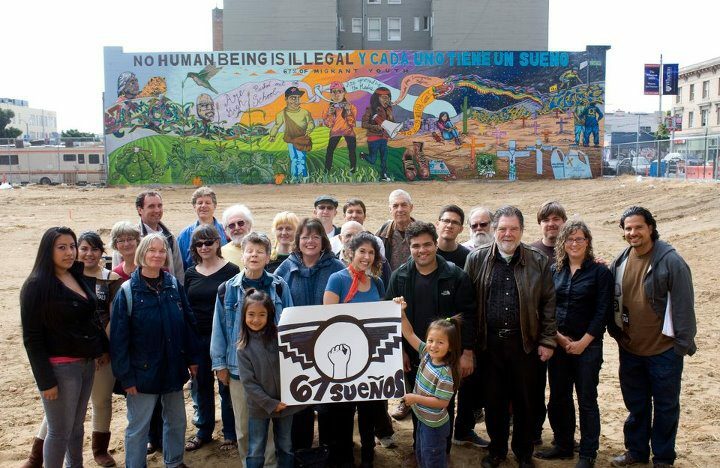 The unveiling will coincide with the launch of 67suenos.org where they will share their work and videos. 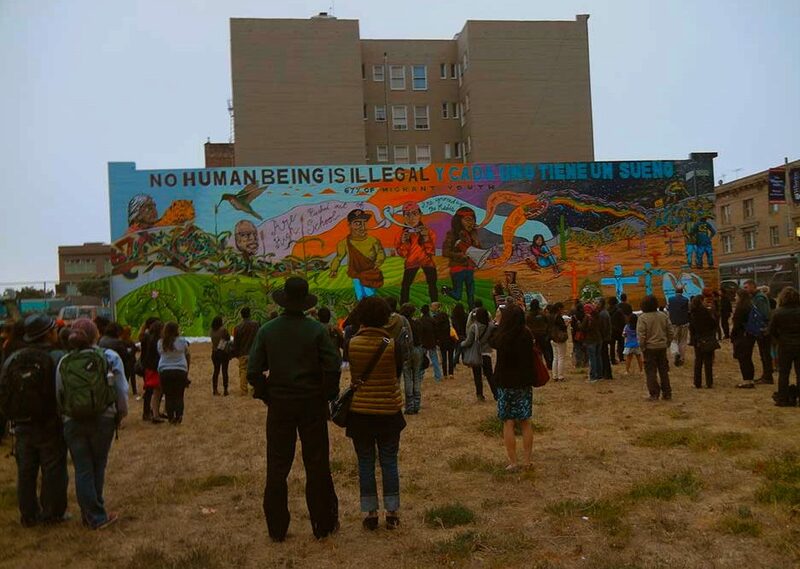 Their goal is to showcase 67 stories to lift the missing voices in the Immigrants rights debate. 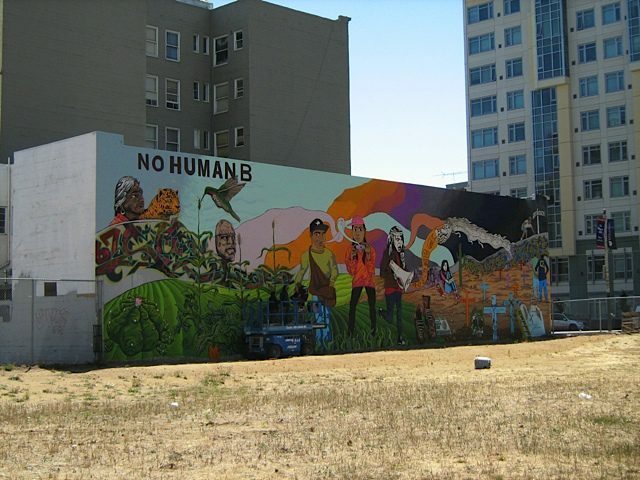 Final Group photos July 15, 2012 before construction of 14-story building, which will leave as yet unknown viewing when completed.